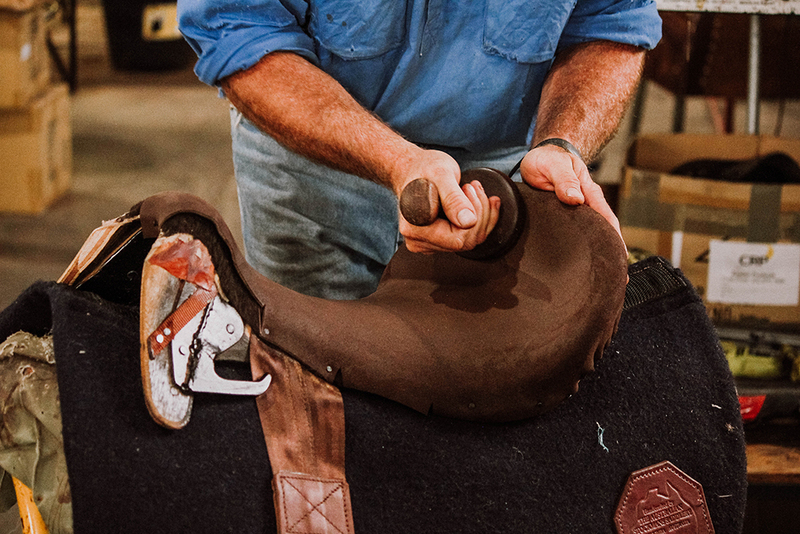 The Australian Stockman’s Saddlery was established in 1985 to service the needs of the Australian rural sector with high quality stock saddles and strapping. 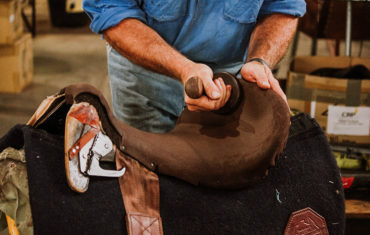 In early 2019, the business was purchased from Craig & Kris Pomeroy by Ben & Chrissie Knight, who have a long association with the saddlery. 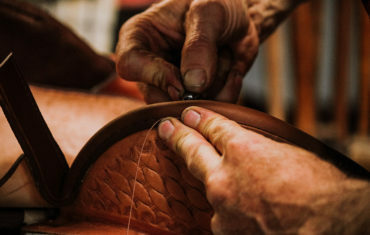 From a young age, Ben has been passionate about working with leather. On wet days he would sneak to the Meat Room with his cousins and brothers to make bridles, quartpot holders, breastplates and leggings out of his father’s good bridle leather. The boys would also cut their creations out of the backbone leather (the best part) and ruin the straight edge...the culprit of which, when interrogated, was always a mystery. This is where his love for leather work began. Ben made bridles and cattle show halters on the high-school bus for a produce store, and built his first saddle out of a book in Grade 10. 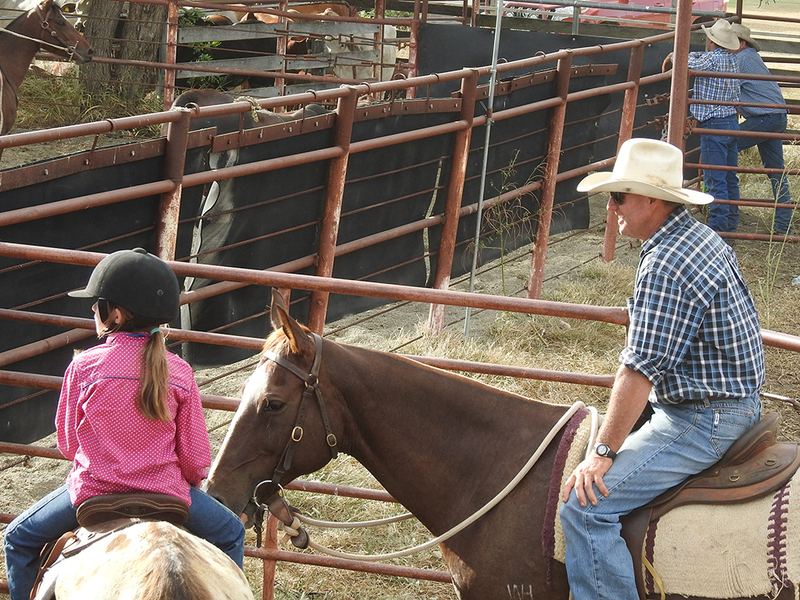 His first stock saddle was made straight out of school. Ben’s main influences and mentors were his grandfather, father and the old whip maker from next door at Manumbar. In 1996 at 18 years of age, he started his apprenticeship at Roma Saddlery. 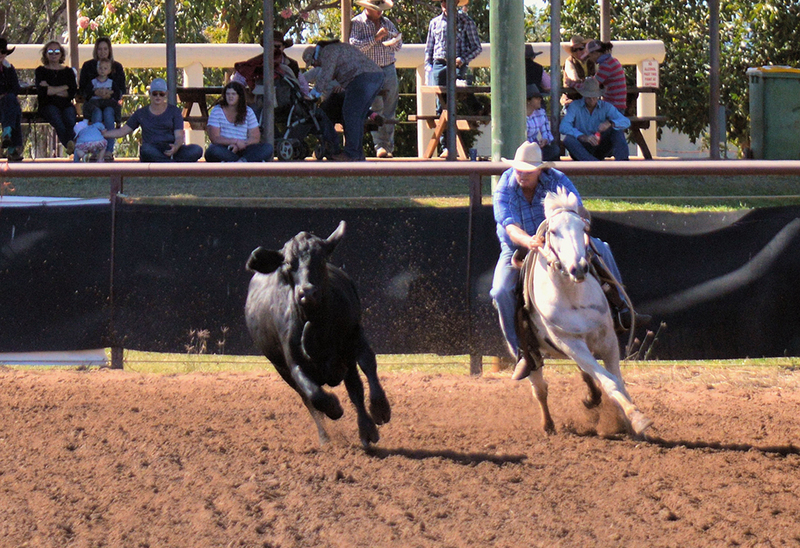 He proudly finished his trade in 2000 and started employment with Craig at Australian Stockman’s Saddlery in 2001. He worked here at the Russell Street store for many years and appreciated what a great business it was to be a part of. 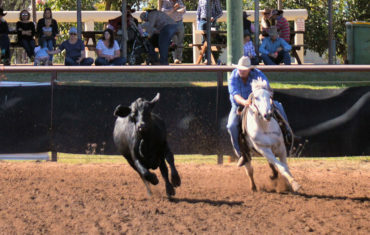 Ben’s passion for Australian horse sports comes from competing in campdrafts since childhood. 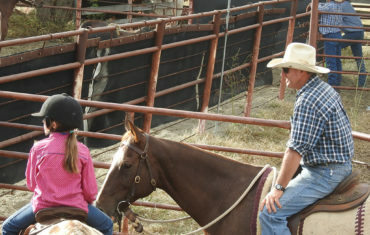 Being a farm kid, ringer and property owner has enabled Ben to appreciate the necessity for a quality product that provides comfort, longevity and functionality for both the horse and rider. A good day in the office is always about meeting customers, new and old, and sharing stories about the one thing that brings them together – horses. Ben's wife Chrissie has grown up on the land also, and has always felt a strong connection to the rural industry. She believes that horses provide an essential outlet in this fast-paced era, and that being on horseback enables us to forget our daily stresses. 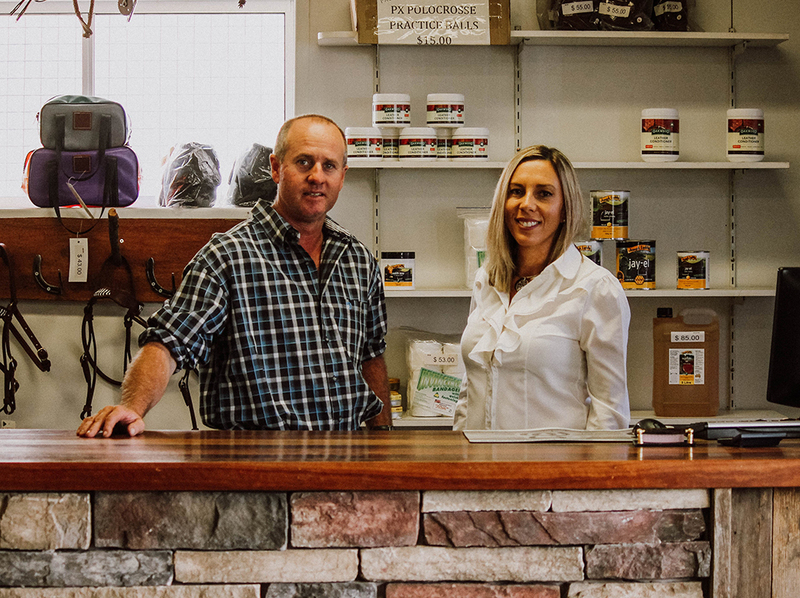 For this reason, Chrissie is excited to be part of the team at Australian Stockman’s Saddlery Toowoomba in the office and the showroom. 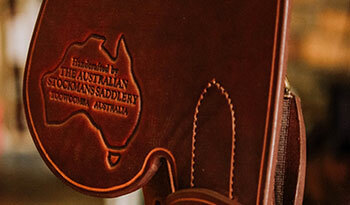 The Australian Stockman’s Saddlery is a 100% Australian owned company, producing high quality saddles and strapping that horsemen and women throughout the world know they can trust.